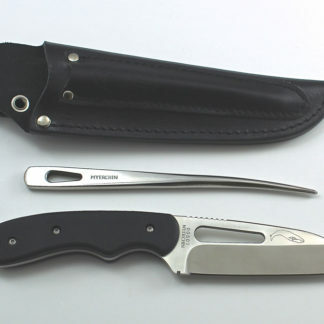 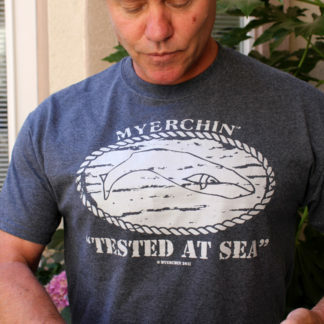 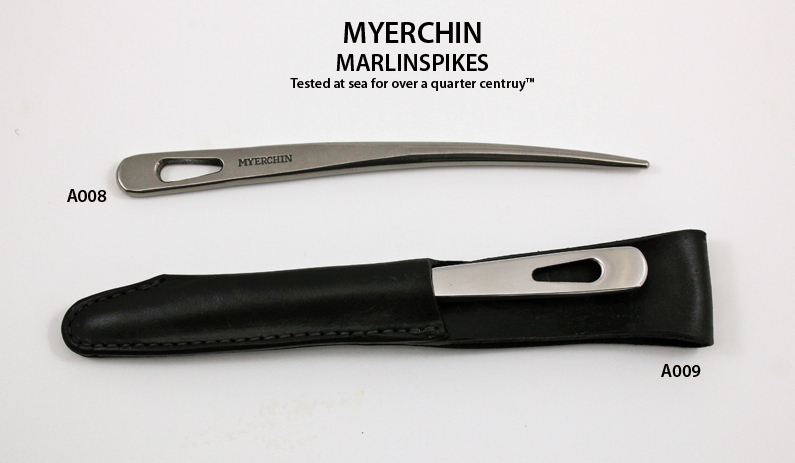 A009: Myerchin Marlinspike with Leather Sheath – Myerchin Inc.
SKU: A009 Categories: Rigging Fixed Blade NEW Generation 2, Myerchin Marlinspikes, Accessories "Tested at Sea"
Solid stainless steel / Professional quality marlinspike. 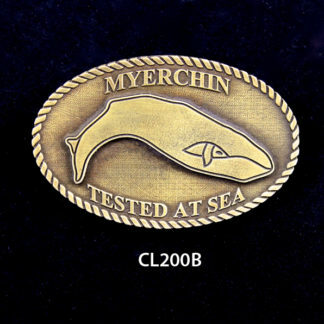 Used by sailors, commercial tug boats, Coast Guard, Navy, divers, participants in all extreme sports. 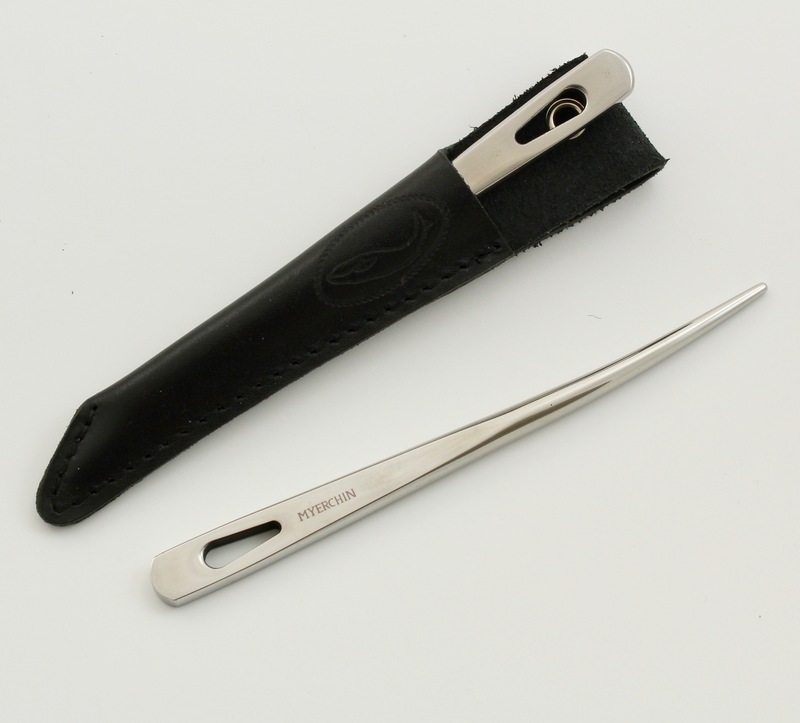 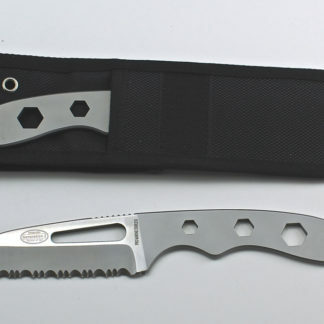 The A009 Set includes a heavy leather sheath custom made for the spike. Spike Weight: 2.5 oz, s.s.